Also in 2019, the company wants to set licensing partnerships - including "Heidi", "Scooby Doo" and "Back to the Future", which should appeal to different target groups. 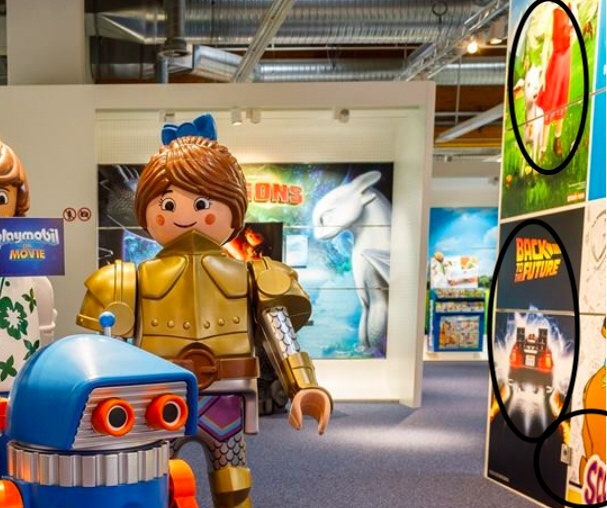 In August, the toy manufacturer also brings out its own film: "Playmobil: The Movie". Matching it should also give play sets. All kinda weird... But none as odd as ghostbusters, IMO..
Heidi can deliver some new animals perhaps, that would be nice. Back to the Future offers some nice possibilities. The famous car itself could be offer in three variants: normal, futuristic flying car and the far west version. The same could be said for the main characters, though I'm pretty sure that the first assortment will only involve the first movie which will make a fantastic opportunity for Playmobil to make a 50's diner. I would love 50's klickies. Wondered that too.. Or is the 4th "playmobil"? Could be, or "Playmobil the Movie", or something else... We will know soon I guess!!! Exciting times in the Playmobil world!!! Exciting times in the Playmobil world!!! Very! I don't think my poor wallet will survive these times unscathed though! Thanks for the news, I will be looking forward to the Delorian . Hopefully it’s not too “fantasized” . It would be nice if it was easily removed of all the back to the future elements to have a stock car.